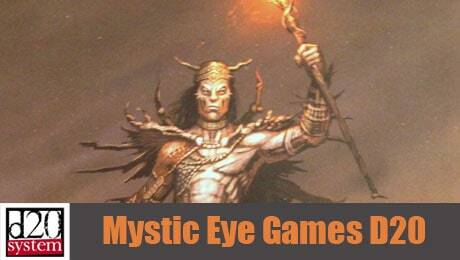 Here’s a small update for my Mystic Eye Games D20 collection. 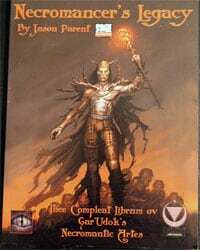 MYG 0302 Necromancer’s Legacy was written by Jason Parent and published by Mystic Eye Games in 2002. Necromancer’s Legacy is a D20 sourcebook focused on the necromantic arts of the infamous Gar Udok. In the book you’ll find over 50 new spells, 16 monsters, 8 prestige classes, 9 feats, 16 magic items, and 6 evil deities.